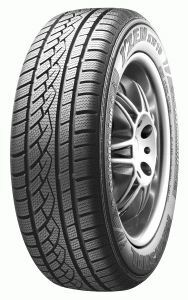 IZen KW15 tyres from Marshall are perfect for the winter, as their rubber compound has been developed to operate in colder temperatures than summer tyres. You’ll benefit from greater grip, better stability and more responsive steering that will ensure you are always in control, no matter what the weather. Thorough testing has been done to ensure these tyres work in the wet and dry, including snowy and icy conditions so you can trust that IZen KW15 tyres are very reliable.